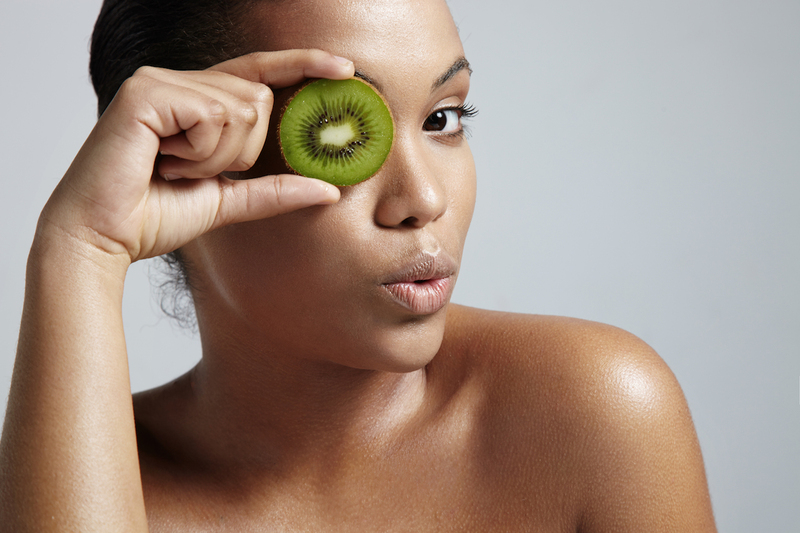 Your skin is an important organ that needs to be nourished with good sources of nutrients. Good news: you can whip up your skin radiance boosters right there in your kitchen. Skin smoothies for the win! This carrot-spinach combo boasts a good amount of beta-carotene (an antioxidant that converts into Vitamin A). We need Vitamin A for healthy skin, mucus membranes, the immune system, and for the health of our eyes. The avo is a good source of healthy fats for soft, supple glowing skin, and kale, which contains chlorophyll, helps remove toxins from the body and improve skin quality. The antioxidants in the berries offer an added bonus: anti-ageing power. Combine the orange juice and yoghurt in a blender. Add the berries, spinach, banana, and carrots. Blend until smooth. Add in the avocado, give another whirl and enjoy! Granny Smith apples are packed with Vitamin C, an essential ingredient for skin collagen production. The probiotic-filled vanilla yoghurt promotes healthy digestive function, which also directly affects the quality of your skin. Avocado helps to keep your eyes healthy while also protecting the skin from signs of ageing and the harmful effects of the sun’s UV rays. Mix all the ingredients together in a blender. Dry skin? Sip on some of this. To tackle wrinkles, choose blueberries, blackberries, black grapes and dark cherries, which are all rich in anthocyanidins (a kind of flavonoid). The Vitamin C in these fruits also helps to keep skin healthy by supporting collagen and elastin fibres. Juice the apples then transfer to a blender with the grapes and your choice of blueberries, blackberries or cherries. Blend until smooth. Blending berries is preferable to juicing them as juicing removes their skins, which is where you find the healthy polyphenols and resveratrol (these phytonutrients have been linked to longevity because of their ability to slow down cell oxidisation). Stir in your chosen plant oil before serving and enjoy!